Wonders shall never end in this world of many wonders. initially, it was a world of seven wonders not until Nigerians became part of the whole process. How can a man rehearse healing, prophecies and miracles? Things of God is no longer seen as sacred but staged managed to deceive people and take from them that which they didn't get easily. This is the case of these people that you are seeing their photo. Their job is to confirm fake prophecies for fake pastors. Men who have refused to live holy and hear from God. And you know what? These men are the ones confusing people, giving them the reason for not belonging to any church, cos they are afraid and do not know who to trust. It was gathered that they also faked healing for some shady so called "men of God". They come on "stage" and dance to the right, dance to the left, somersault and begin to manifest stupidity and the gullible congregants then dance out and apart with their live savings in the name of championing the things of God. 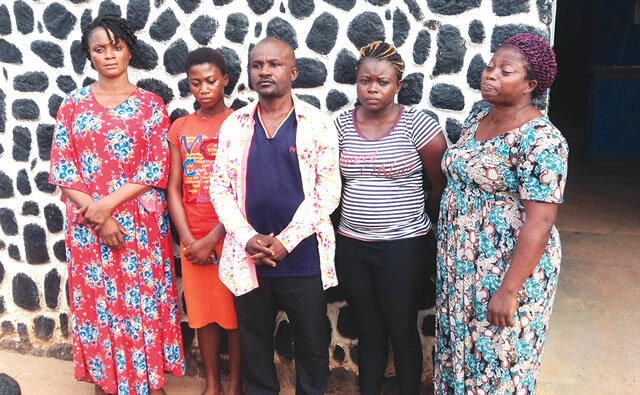 As it is always with the thief, they were caught on their way to Abakiliki, in Ebonyi State to stage manage miracles and healing for an unnamed pastor when nemesis caught up with them. And you know what? Little argument actually exposed them and before you know it, they started talking. 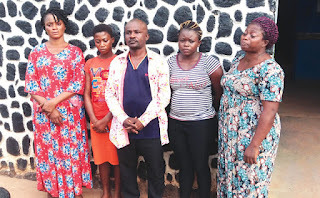 How they confirm fake prophecies, miracles, healing and others according to the arrangement of the pastor and their agents who go scouting for these jobs. In your own view, what should be done to these people, irrespective of the conditions they give for partaking in kind of dubious business? This is an eye opener to all miracle seekers, who move from state to state looking for the Jesus they misplaced.